Garry Addley of Alberta, Canada, out-dueled a field of 1,386 other participants to capture the Daily Racing Form NHC Tour Online Challenge Saturday, June 1. Addley and the second through fifth-place finishers earned a berth in the 2014 $1.5 million Guaranteed Daily Racing Form/NTRA National Handicapping Championship, Presented by Sovereign Stable and Treasure Island Las Vegas (NHC). The “NHC Online Challenge” required contestants to place mythical $2 win and place wagers on 10 designated contest races on June 1. Addley compiled a score of $88.80 to narrowly top the field. Will Latulippe ($87.90) of Brighton, MA, finished in second-place, followed by Ron Howard ($80.80) of Midland, MI, Jim Matthew ($80.40) of Lebanon, PA, and Bob Graham ($79.40) of Broomall, PA. In addition to berths in the lucrative NHC, each player earned a $400 airline voucher and four free nights stay at the Treasure Island. The complete standings from Saturday’s tournament can be found by clicking on the Leaderboard tab at the following link: http://games.ntra.com. 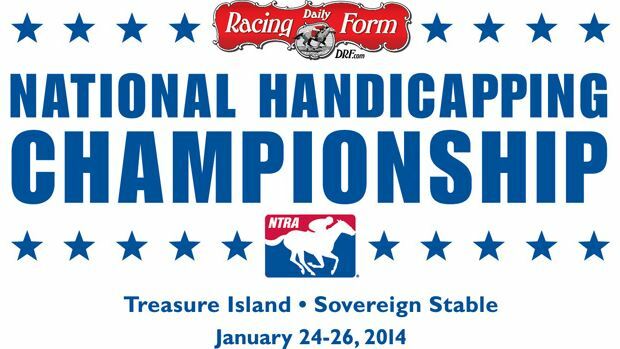 The Daily Racing Form/NTRA National Handicapping Championship, Presented by Sovereign Stable and Treasure Island Las Vegas, is the most important tournament of the year for horseplayers. There are no “buy-in” entries at the NHC. It is the culmination of a yearlong series of NTRA-sanctioned local tournaments conducted by racetracks, casino racebooks, off-track betting facilities and horse racing and handicapping websites, each of which sends its top qualifiers to the national finals. Each year, the NHC winner joins other human and equine champions as an honoree at the Eclipse Awards. The 14 NHC Champions since the event’s inception, in chronological order, are Steven Walker, Judy Wagner, Herman Miller, Steve Wolfson Jr., Kent Meyer, Jamie Michelson, Ron Rippey, Stanley Bavlish, Richard Goodall, John Conte, Brian Troop, John Doyle, Michael Beychok and Jim Benes.